3. Display - 5.85" HD+ LCD display, brightness, contrast, color temperature, sRGB coverage, etc. Just like the original Mi MIX by Xiaomi triggered the appearance of full-screen design smartphones, the iPhone X triggered the appearance of smartphone screens with a notch. The latest Ulefone model belongs to the second trend. 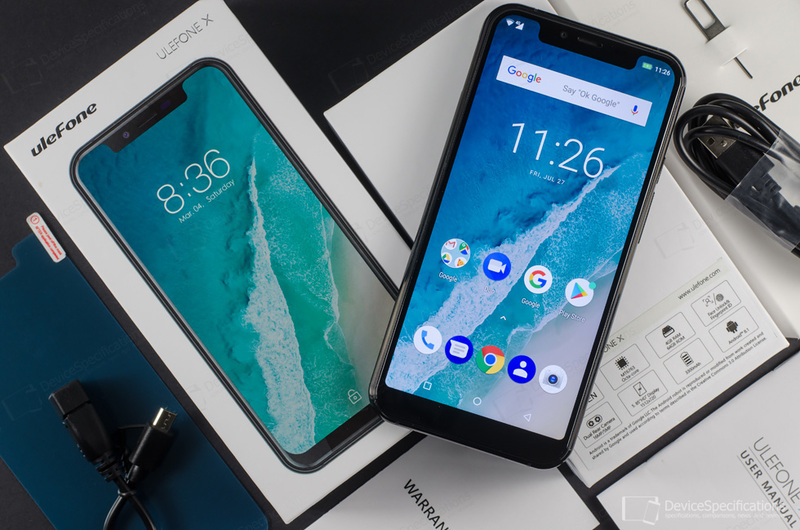 Moreover, it looks a lot like the iPhone X and is unequivocally named Ulefone X. The goal is more than clear - offering an iPhone X-style device to the masses. The smartphone does have a compelling price, uses high-end materials and supports Qi wireless charging, which is untypical for mid-range devices priced below $200. So here's our in-depth review of the Ulefone X, in which we examine every little bit of this model. You can buy an Ulefone X at a promotional price from Ulefone's official store on AliExpress or from Banggood. Ulefone X is equipped with a 5.85-inch LCD display with an HD+ resolution (720 x 1512 pixels). It is protected by a 2.5D curved glass of unspecified make. The rear of the device is covered with a 2.5D curved glass as well and the frame between the two glasses is made of aluminium alloy. It is the glass back that makes possible the support of Qi wireless charging (5W). The device packs a 3300 mAh battery paired with a 5V/1.5A fast charger. Hardware-wise, the model is based on a MediaTek Helio P23 system-on-chip in its slightly downgraded MT6763V variant - with a 2GHz octa-core Cortex-A53 CPU and a 700MHz dual-core Mali-G71 MP2 GPU. The chipset is paired with 4GB of LPDDR3 single-channel RAM clocked at 933MHz and 64GB of storage that can be expanded with up to 256GB. The camera department includes an 8MP selfie shooter, interpolated to 13 megapixels and combined with an f/2.4 lens. It also supports face unlock. On the back, there are two cameras. The main one packs a 13MP Sony IMX 135 sensor, interpolated to 16 megapixels, and a 5-element lens with an f/2.2 aperture. The auxiliary rear camera has a 5MP sensor used only when shooting with bokeh effect. The rear shooters are aided by a LED flash and PDAF. They are also accompanied by a rear-mounted fingerprint sensor. The model supports 2G GSM (850, 900, 1800, 1900 MHz), 3G W-CDMA (850, 900, 2100 MHz), and 4G FDD-LTE (800, 900, 1800, 2100, 2600 MHz) network bands with LTE speeds being Cat. 7 ones. Dual 4G LTE is supported on both cards simultaneously. 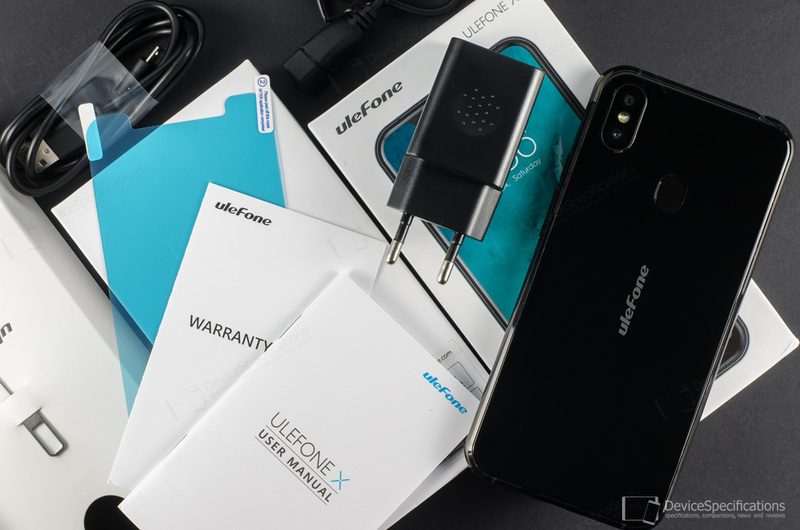 The wireless connectivity options of the Ulefone X include Bluetooth 4.0, dual-band Wi-Fi 802.11 a/b/g/n, Wi-Fi Direct, Wi-Fi Hotspot, Wi-Fi Display. The smartphone works with GPS and GLONASS and is equipped with a Micro-USB 2.0 port and a 3.5 mm jack. The model runs on stock Android 8.1 Oreo.